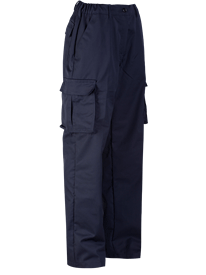 When you need to look smart and professional and stay safe on-site, you need high quality work trousers from our Alsi and Gryzko ranges. 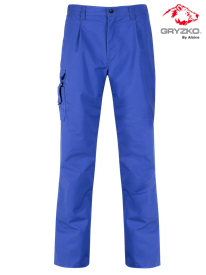 With a range of great features to keep you comfortable and on top of your game throughout the day, hardwearing and hard working workwear trousers from Alsico are high quality and excellent value. 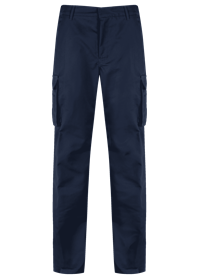 Built for a wide range of professions, our work trousers are designed to help you get the job done even in the roughest and toughest of conditions. Guaranteed to last, our trousers are engineered from robust, high quality technical fabrics that are designed to stand up to the rigours of your working environment. Styled for men and women and designed for the ultimate in comfortable fit and style, are garments are designed to withstand an industrial wash cycle yet still come up looking and feeling like new. In different weights to meet the demands of different challenges, our workwear trousers come in a range of colours and fits, allowing you to create a corporate identity for your workforce. Add an embroidered logo for uniform wear or to create a team identity and your staff will be your ambassadors. 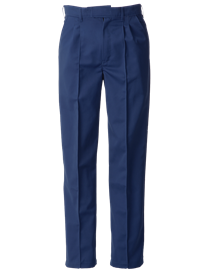 Our workwear trousers are designed and tailored with your comfort in mind. 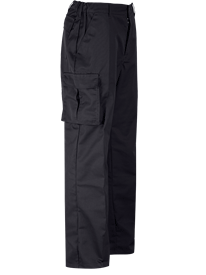 If you need knee pad pockets, then our Alsi trade or utility trousers deliver exterior or interior pockets to make your working day as comfortable as possible. Additional features include velcro fastening pockets, twin needle stitching and stretch fabrics, all designed to meet the needs of your workforce. Cargo shorts and trousers are a popular choice, thanks to their blend of utility and style. 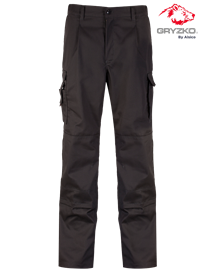 With multiple pockets for your convenience, including handy rule and phone pockets, cargo trousers are a smart, functional and unisex style. 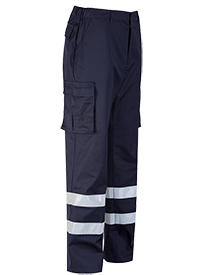 Our Gryzko cargo trousers with reflective tape are ideal for working environments where visibility is essential. 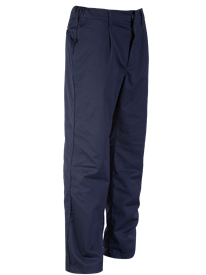 With reinforced seams and plenty of pockets, these are the ideal choice when your workforce needs to be active, feel protected and look good. As an employer, you have a responsibility to outfit your workers with suitable PPE clothing, including workwear trousers. 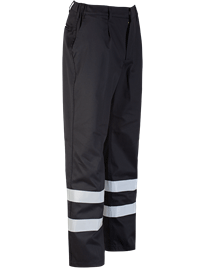 Whatever the job your employees are working on, high quality work trousers will help them take pride in their appearance and get the job done safely. Well fitting work apparel won’t get caught in machinery, or get in the way of you doing your job. Your staff can stay cool in summer and warm in winter, thanks to the latest technical fabrics, while having ultimate stretch and flexibility for the luxury of comfort and support. 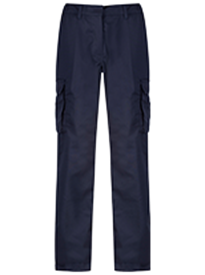 Alsico is one of the biggest workwear manufacturers in Europe. 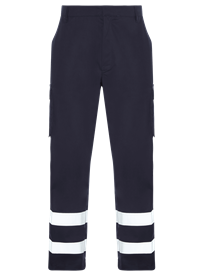 We bring our expertise and professionalism to the design of all our work trousers, so you can rest assured that your workforce can rely on our premium quality garments. Whether you choose items from the Gryzko or Alsico ranges, you’ll have peace of mind, knowing that our cost-effective and high quality workwear won’t let you down.